Nobody wants to look older than they feel. But, not everybody wants to subject themselves to the physical ordeal and risks of an invasive facelift procedure, not to mention the extended downtime and high price tag. 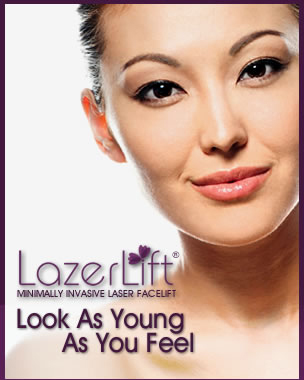 Now, there’s a better way to look younger… with LazerLift®. Do you look as young as you feel? Do you want to achieve facial rejuvenation results without having to undergo invasive surgery? The LazerLift® might be right for you. Take a look at how LazerLift® compares to traditional facelift surgery. How can I find out more about LazerLift®? 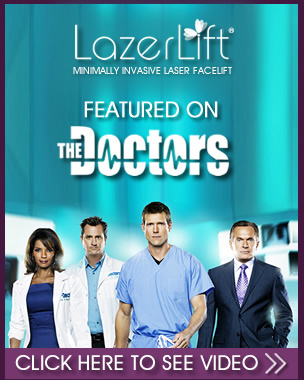 Only a handful of physicians have the advanced technology and expertise to offer the LazerLift® procedure. To find out more, fill out our request information form online.